Juan Du received her PhD degree in the Institute of Genetics and Developmental Biology, Chinese Academy of Sciences in 2010. 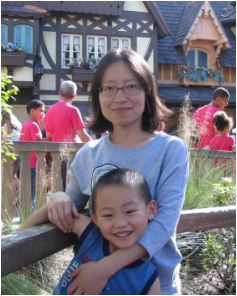 She was supervised by Prof. Hongqing Ling and mainly focused on the regulation of plant iron metabolism by bHLH transcription factors and elemental interaction. She started her postdoctoral research on cellulose biosynthesis since the summer of 2010. Firstly, she was working on the functional characterization of proteins associated with cellulose synthase complex in the lab of Dr. Ying Gu. She joined the lab of Prof. Tracy Nixon in 2012. She is working on the structure determination of cellulose synthase complex in both Acetobacter and plant using electron microscopy and single particle analysis.